A moment (OK, maybe a lifetime) Inside My Head…. Since being put on desiccated thyroid hormone in December, I have been experiencing side effects that I have to admit are quite interesting and annoying. They really are a trade-off for the original symptoms themselves. My journey is taking an interesting diversion these days. Since being put on desiccated thyroid hormone in December, I have been experiencing side effects that I have to admit, are quite interesting and annoying. They really are a trade-off for the original symptoms themselves. Not only that, but my TSH significantly increased. My Thyroid is now struggling harder on medication? Really? So, easy protocol — not so easy. The doctors’ answer to this was to double the dosage and he wanted to see me in two months. So, let’s take a step backward to 4 years ago…or even 44 years ago. Bear with me, as I am trying to process my condition and its origin. As I look back, I can see a history of insults to my thyroid and my gut. Which now, as I’m learning and self-advocating, I realize played an extremely, overwhelmingly important role in my overall health. Do I need thyroid hormone. I was born to a undiagnosed hypothyroid mother. She had extreme difficulty conceiving and lost a baby at 8 months gestation. She did not get pregnant, with my sister, for 15 years after that horrific incident. I was born into this glorious world, 5 years thereafter. I was a soy formula-fed baby because I was extremely lactose intolerant and colicky. I had my first bout of kidney failure at age 6, which is difficult enough, never mind how young I was. Salt was not allowed in my daily diet. I’m still not sure weather that fact helped or hindered my well-being. Sneaking in, to eat it right out my hand, happened on more than one occasion, you can be sure of that. I constantly craved salt. I also had severe fat intake restrictions (I assume for ‘health’ reasons, who really knows now?) as I weighed in at a whopping 26 lbs, at 6 years old. So, these limitations were certainly not for overweight issues. Fat was killing us in the 70’s, remember? I had braces very early which involved many x-rays. Fluoride treatments from the dentist came every 6 months. If we knew then, what we know now, whew! My health history, including my visits to our friendly dentist, definitely raised cause for concern. I was easily overwhelmed, distressed and uptight about everything. Remembering now, how my utter lack of energy and unmotivation to do just about anything, kept me from fully living like a child should. Mentally anxious, physically uninspired, in every sense of the word, was just part of who I was. No one questioned it. My mom often referred to me as the lazy child. Can you imagine what that did to my self confidence and psyche? Literally, everything was a fight with me, emotionally. I was easily overwhelmed, distressed and uptight about everything. I had medical needs that weren’t adequately being met. A wholly functional medical approach could have helped to restore many of my ailments, as I later learned. When my mother was finally diagnosed with underactive thyroid, 13 years after my birth, my emotionally, taxing childhood, full of illness, nightmares and fatigue was, at least, behind me. Focus on her and her illness was now the focal point. I was a little older and could understand. We were all able to interpret and accept her and the situation. It opened our eyes and explained many before, unexplained things. Thank goodness! (Did she need thyroid hormone?) Despite having her official diagnosis, it didn’t make it any easier on us, or me, however. Especially since I was advancing into a new chapter, in my own life. Enter puberty, and ever-changing, raging hormones. Not a fun time, albeit necessary. Those times were very straining and sad. The memories are very difficult to call back into the forefront of my mind….remembering things I wished to keep for myself, but it is very relevant to understanding my health. Her thyroid condition was so bad. It had gone undiagnosed for too long, which lead to her health and mental states being excessively unstable. Her body and mind had suffered for far too many years. Of course, her thyroid was completely out of whack, what more could have been expected? But, when she chose to overlook, ignore and not treat this debilitating illness, her doctor released her as a patient (I still remember the certified letter that my mother received, stating she had been, in essence, fired from her doctor), it had lasting effects on the entire family. I have no desire to repeat my adolescence and found it extremely, mentally and physically taxing and very difficult. But, important to the story, nonetheless…..
Adulthood has been a true blessing. Controlling my own food choices, dental procedures, salt or iodine intake and exposure to certain toxins, was important to my healing journey. Suffering or thriving accordingly, and learning the relationship of them all, has also been a great benefit. Food, I believe, has always been one of my triggers. Period. During my life, I had always been very tall, lean and bone thin. So, gaining 55 pounds in one year (coincidentally the year we chose to go vegetarian…LOTS OF SOY), was extremely confusing and disconcerting. A Paleo Diet might be for a lot of people. It was obvious that it just didn’t work for me, as I had unsuccessfully tried to lose the weight. (Every story is different, we keep saying, and you might do wonderfully on the Paleo or others.) Most of my health issues, I chalked up to having a stressful job. I hadn’t put 2 and 2 together or had the need to do my own research, yet. That would come a few years later. I really didn’t think much about it, to be honest. 1. Alcohol, unfortunately, (who doesn’t love a nice glass of wine, I live in California close to Napa Valley, for goodness sake!) was the first to become a serious metabolic problem and ‘trigger’ for me. My ears and face would get immediately hot and flushed. My body would feel all tingly and numb, with just one sip. This caused me to stop drinking around age 25. It became just too uncomfortable. 2. My husband and I did not get pregnant, for 10 years into our relationship. We conceived, coincidentally, several months after quitting my job, started eating fish, introducing eggs and ending our long run as vegetarians. Related? Probably! 3. I never felt better than I did, when I was carrying all of my children. Pregnancy was an absolute joy…I FELT GREAT (although some might think that’s crazy. ha)! Looking back, knowing what I know now, I realize why. During those precious 9 months, my thyroid hormone was stimulated, my diet was strictly controlled and nutrient dense. In addition, I was taking amazing prenatal vitamins, that I SWORE by (Rainbow Light Complete Prenatal System), my estrogen and progesterone were soaring and all of this made my nutrient transfer fabulous! It was heaven! So, What If It’s NOT The Addition of Thyroid Hormone That Makes Us Better? If it was, then WHY do many women feel terrible ON thyroid hormone and even worse when the dosage is increased? Or, why do they feel better at first, and then not so much, after a few weeks? A good question indeed and one to further explore. There is a reason, that the thyroid is not functioning properly in the first place. 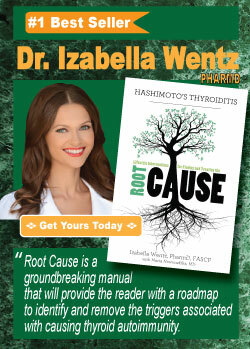 There is definitely a reason for the hypothyroidism and/or Hashimotos, a Root Cause, if you will. Iodine deficiency? Maybe so. What if the thyroid sufferers that feel terrible are actually iodine deficient and/or fluoride, bromide and mercury laden? All of these inhibit iodine uptake, binding AND impede the absorption! Even WITH sufficient iodine in the diet and/or supplementation! Another point is, how this ties in with gluten. Gluten further inhibits iodine uptake as well, adding insult to injury. Is it then, that gluten is the problem? I, personally, am still not convinced that it is the bread itself. Why would different breads have different effects or not be bothersome, to all, if this was the case? Bromide! Yes, the bromide, in the flour, is extremely problematic. Added vital wheat gluten -You bet, precarious. Commercial baking with salt, absolutely doubles the gluten content. But, none of these were present in ‘old school’, handmade bread. Hmmm…. And, in the early years, much of the gluten was actually ‘washed off’, before baking. This might be exactly the reason why gluten is a problem for some and not a problem for others. The sufferers with bromide toxicities would feel horrible when encountering flour with bromide, or any other bromide containing substance. Bromides are a common endocrine disruptor. Because bromide is also a halide, it competes for the same receptors that are used in the thyroid gland (among other places) to capture iodine. This will inhibit thyroid hormone production resulting in a low thyroid state. Bromide can be found in several forms. Methyl Bromide is a pesticide used mainly on strawberries, found predominantly in the California areas. Brominated Vegetable Oil (BVO) is added to citrus drinks to help suspend the flavoring in the liquid. Why would iodine supplementation make certain Hashimoto’s thyroiditis patients feel like they are dying when they take or encounter iodine, even if they are possibly iodine deficient? So, why then, would iodine supplementation possibly cause growths in nodules and become harmful for some? NONE of this, has to do with the thyroid hormone amount itself. But, it will significantly effect how the thyroid will respond, produce, distribute and absorb thyroid hormone. If a person has iodine deficiencies, bromide, fluoride and/or mercury toxicities and/or mineral deficiencies, there is no amount of thyroid hormone on this planet, that will make them feel well, until those issues are identified and addressed. The syptoms will not be able to be alleviated, even with a healthy, thyroid-friendly, nutrient dense diet! First things, first! Identifying, through blood work and lab testing, iodine deficiencies as well as bromide, fluoride and mercury toxicities, SHOULD BE the start of every treatment plan for thyroid patients. There are many ways to introduce solutions through natural remedies before delving directly into prescription or nonprescription drugs. Herbs, Oils, Vitamins, Supplements, Tinctures, Acupuncture, Chiropractors, Ion Detoxification are all wonderful first step protocols to healing. Food should be the second course of action, starting with an elimination diet. Finding the best food plan, whether it is Paleo or something similar, doesn’t matter, as long as it suits your needs. Treating with the addition of any medications, including: Synthroid, Levothyroxine, Armour, Nature-Throid, Erfa etc. can be the last and final stage of any healing process. Period! It is a double-edged sword, without a simple answer or protocol. Definitely a careful and cautious road to treating and correcting the imbalances, needs to be taken. Each body/person is different, which is why the medical field needs to take an overall body approach, when managing every patient with thyroid hormone imbalances. Maybe they will hear us! 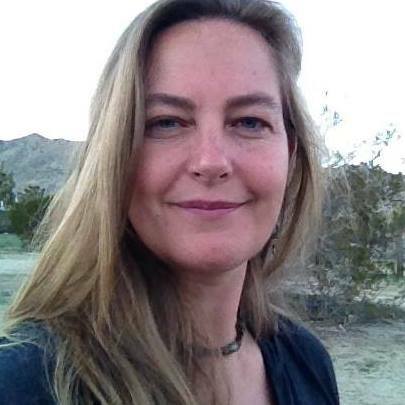 Tiffany Mladinich, Owner/Formulator/Consultant at Grateful Garden. Offering simple body nourishments made from natures finest ingredients, as well as health and thyroid coaching at Holistic Health Constultants. All of the products are handmade to order, in the USA. No parabens, synthetic preservatives or ingredients are ever used. Using ingredients that we can all understand and trust. She shares with people what she has learned (and knows from a lifetime of kidney disease, diabetes and thyroid issues. Plus, her medical background and love of medicine. She coaches, teaches and guides people by showing them how to get the right blood work (and read the results correctly) from their doctors. Sharing with them how to obtain the information and care that they need, want and deserve. If you are interested in knowing more about how her journey can relate to yours and how food, exercise, lifestyle and stress all relate to your thyroid, or would just like a coach, cheerleader or just someone to listen that understands your journey, please schedule a consultation. Medicine has saved her life several times and she is so grateful to be able to connect the dots for people, with love and kindness. Find her on Facebook and Twitter. She is the formulator and backbone behind the newly created Thyroid Nation Essentials and co-hosts on TNR. PLEASE take a moment to also ‘Like’ us on Facebook, Twitter andPinterest. You can also listen to Tiffany and I on Thyroid Nation RADIO. Can you help with hairloss and baldness. Is there anything I can use to stop and regrow hair. Jenny, there are several things that should be tested properly, like TSH, free t4 and free t3, TPO, TgAb, ANA, CRp, ferritin, vit d, b12, stool sample for parasites and candida, A1C for blood sugar swings, hormones like estrogen, progesterone, testosterone, SHBG, cortisol, DHEA and heavy metals. I would also recommend organic, virgin, cold or centrifuge coconut oil (ingested) daily as well as essential oil like Rosemary, Rose Geranium and Ylang Ylang, well diluted and used on hair. Best wishes to you!